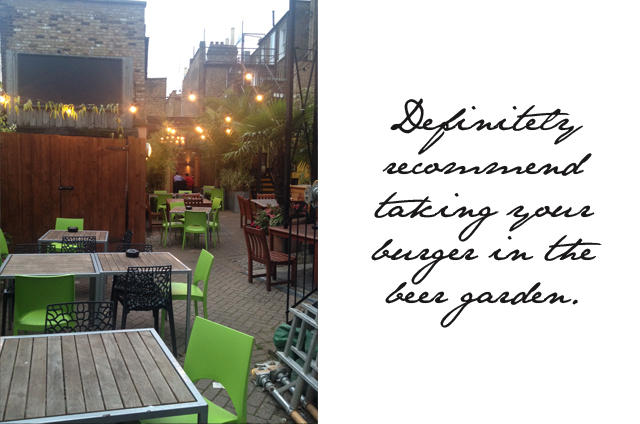 "Have the burger at the Brook Green Hotel." That's the advice I've been given by more people than I can count since I moved to West London a couple of months ago. 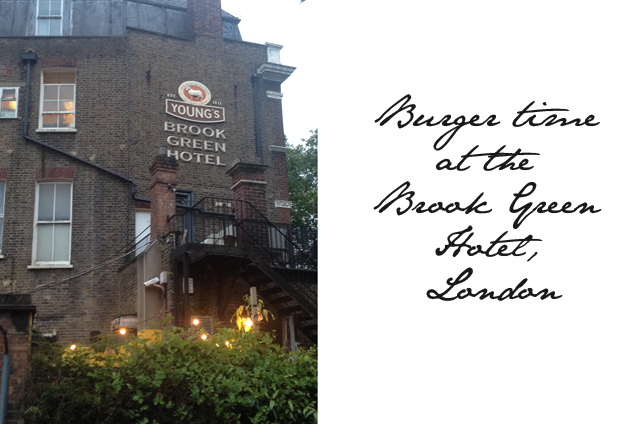 Seems this Brook Green Hotel burger is a bit of a legendary thing around here. So two weeks after moving in, Mr FFG and I made our way to the pub and sat down looking forward to this mouthwatering burger. Sadly, we were informed that the burger had sold out. 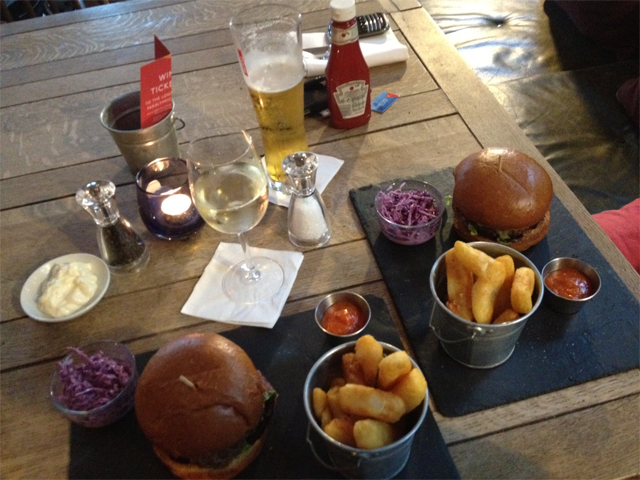 Admittedly, it was 9pm and it seems everyone around us was just finishing their burger as we sat down. So lesson learned, arrive early. Arriving early is easier sad than done when one of you is a banker and the other is tied to a computer for 14 hours a day following news. 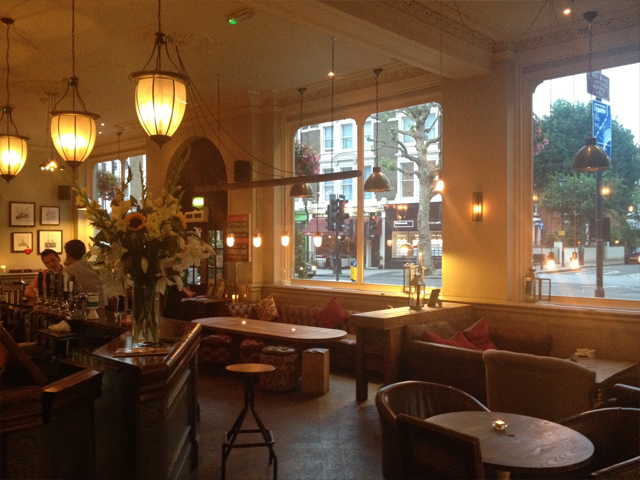 But we tried our best and it took three attempts to get in before the Brook Green Hotel burger sold out. The magic hour seems to be 7pm. I know it's early but let me tell you, it's worth it. The plate arrives and the aroma that fills the air can only be equal to finding heaven. I'm almost scared to bite into the burger for fear that the taste won't live up to the expectation delivered with the scent. All fears are put aside with the first bite. The burger meat is soft, slightly rare and melts perfectly in your mouth with the semi-soft bread, hot cheese and thin slice of onion. It's a perfect combination of all elements and I want to savour every bite. I only stop to sip wine (boy drank beer) or indulge in a chip. 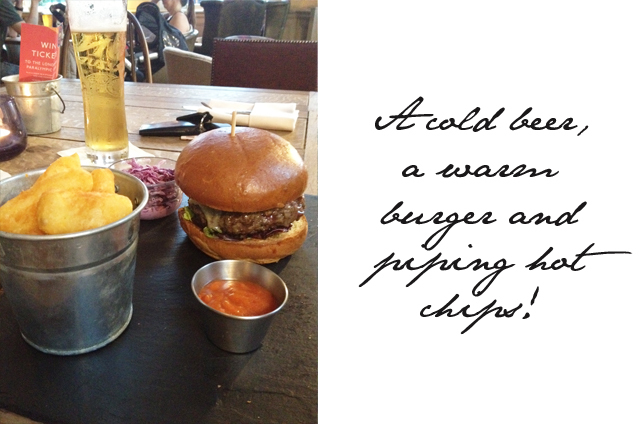 The chips are not as fantastic as the burger, but then again little can be at this moment. They are also hot as hell and need time to cool before you can really sink your teeth into them. For the first time, in a long time, I could not actually finish the burger. It was large but I didn't think I would have a problem finishing it. I think I took too much time savouring every bite and my belly figured out the "full" element way too soon in the game. 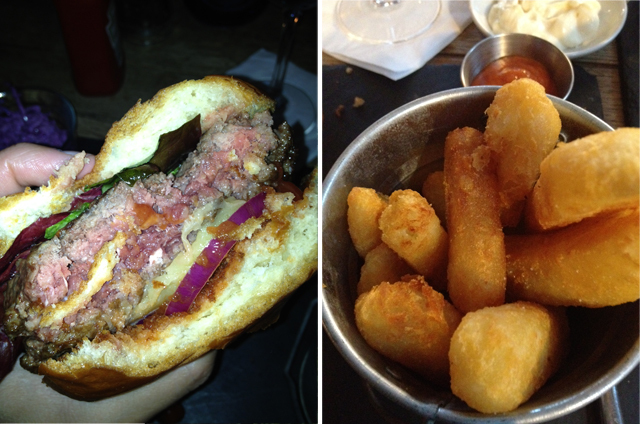 It won't, however, keep me from coming back to try to tackle this fabulous burger once again. The only thing standing between me and the Brook Green Hotel burger at the moment is fashion week and a low carb diet for the next month. But come October, I'm back in!